Marc Marquez may have won all five races so far in a dominant 2014 MotoGP campaign, but the Spaniard fears it could be tough to defeat Valentino Rossi in Mugello next time out. Rossi has been the only rider to seriously challenge Repsol Honda rival Marquez this season, with the 35-year-old finishing runner-up three times in the opening five races, including yesterday at the historic Le Mans track in France. And Marquez believes Rossi’s resurgent form on the Movistar YZR-M1 will make him a formidable threat at the fast and technical Mugello track. Rossi has won seven times on home soil and the Yamaha YZR-M1 has a fantastic record at the Mugello track. Struggling Spaniard Jorge Lorenzo, who slumped to sixth in Le Mans, is chasing a fourth straight win in Rossi’s backyard and Rossi is hoping to keep Yamaha on the top step of the podium on June 1. The nine-times world champion acknowledges that defeating Marquez will be incredibly difficult on current form, with the triple world champion romping to a fifth straight win from pole position in Le Mans. Rossi said: “It is 25-points like the other races but Mugello is a question of honour because it is one of my favourite tracks. Jorge has won the last three races on a Yamaha with some fantastic races, which means the M1 is very competitive at Mugello. 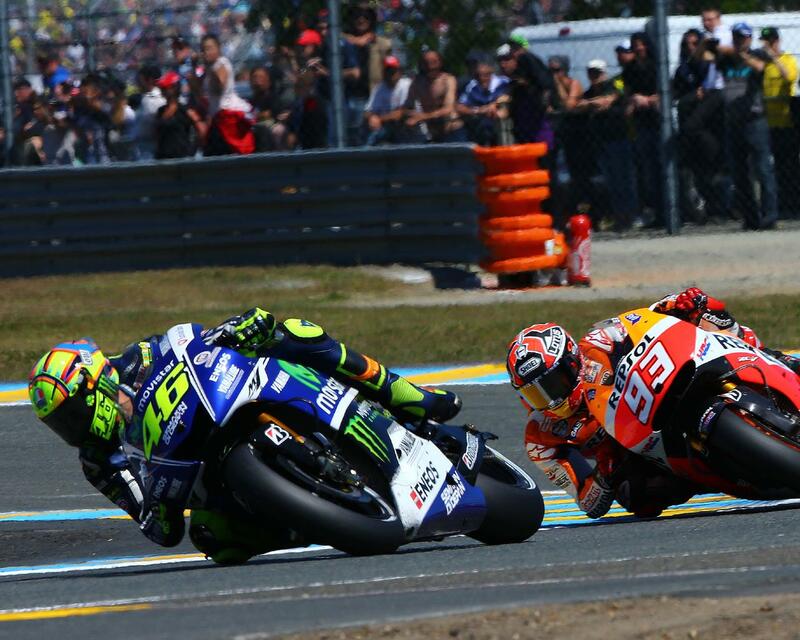 If Marquez is to be finally defeated in 2014, then he believes his unbeaten run could be ended by Rossi in Mugello. Where's the beef between Rossi and Marquez? Earlier this year Honda challenged all their UK dealers to build custom versions of the CB650F.